Kelly Clarkson has released “Get Up (A Cowboys Anthem),” as part of a new soft drink promotion with the NFL. Pepsi has hooked up 5 artists to write songs about their favorite NFL team. Other artists involved include Kid Rock (Detroit Lions), Travie McCoy (New York Giants), Ice Cube (Oakland Raiders) and Wiz Khalifa (Pittsburgh Steelers). From Forth Worth, Texas, Clarkson was an easy choice to team up with the Cowboys. When Pepsi first approached Kelly about writing the song, she was so excited she wrote the lyrics that same night. Fans can download the team songs for FREE; a new one will be available each week. 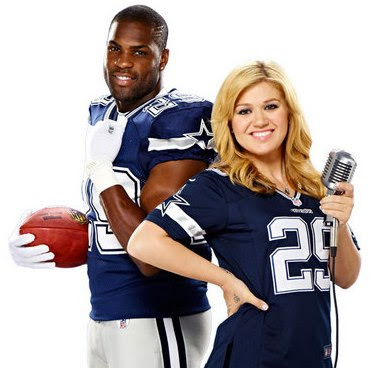 Download Kelly’s Cowboys anthem until August 28 here.